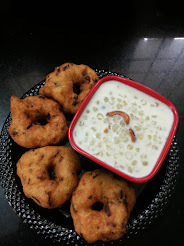 Eat Pray and Cook: Kathirikkai-Murungakai Sambar - Namma Sambar !! I found that the hotel-style sambar was bit too heavy with spices and not good on regular basis. 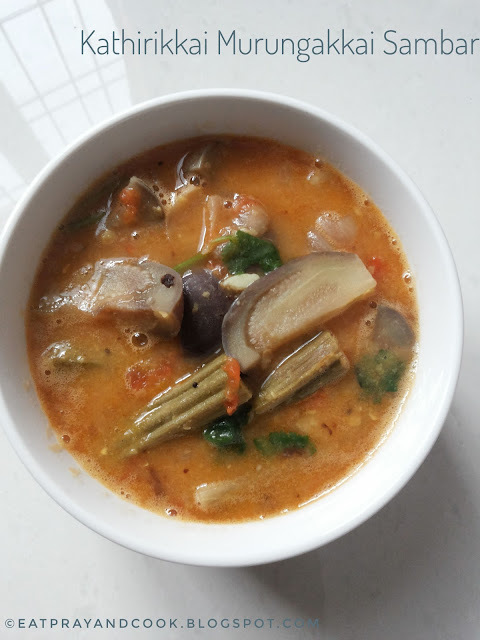 Whereas my mother's simple sambar was always pleasing and never boring. This is the taste I grew up with. Initially even when I tried to compromise it with the hotel sambar.. my home style sambar was waiting patiently for me to return to it. And it did win. 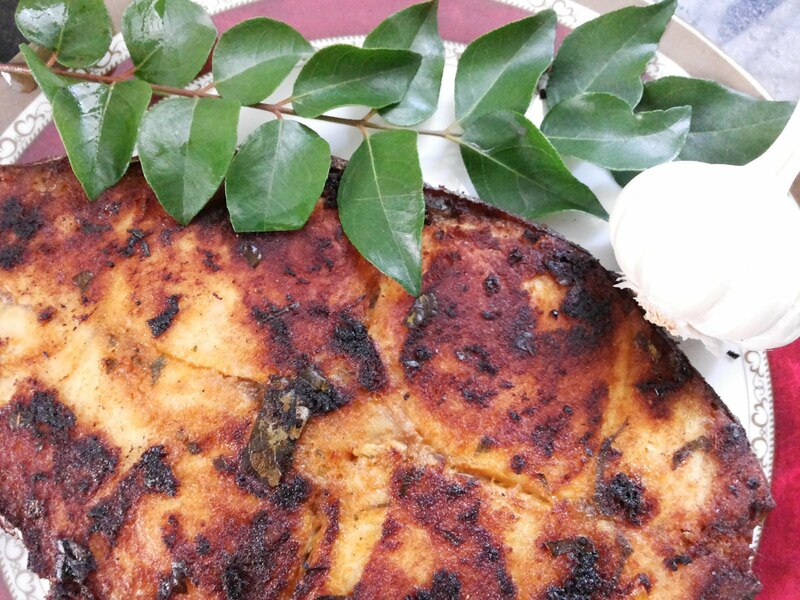 My mother never made any special sambar podi. 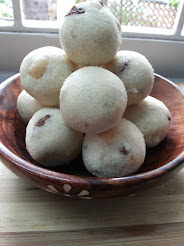 She used to grind coriander seeds and dry red chillies (the fat round one - gundu milagai). I too follow the same powder for my cooking. We buy coriander seeds and dry red chillies equal by weight (1kg coriander seeds and 1kg dry red chillies), sun dry them til crisp and then get it ground in a flour mill. this is our sambar powder, curry powder for vegetable curries and basic spice powder. 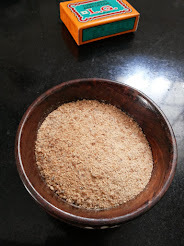 This powder is what we use for making sambar, stirfires, curries, fish gravies etc. 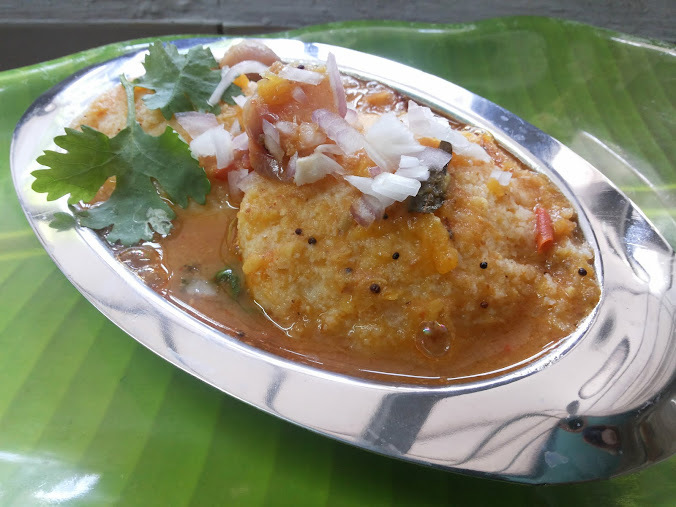 At south Indian homes, this sambar is the main dish during any festivals. Sambar is also a must on the menu on any functions or weddings. 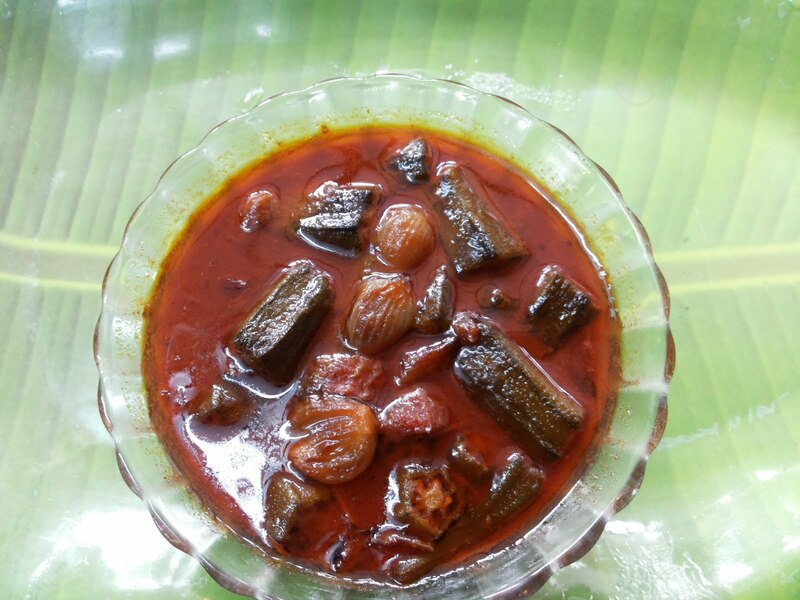 Any special occasion is not complete without sambar on the white rice in banana leaf. 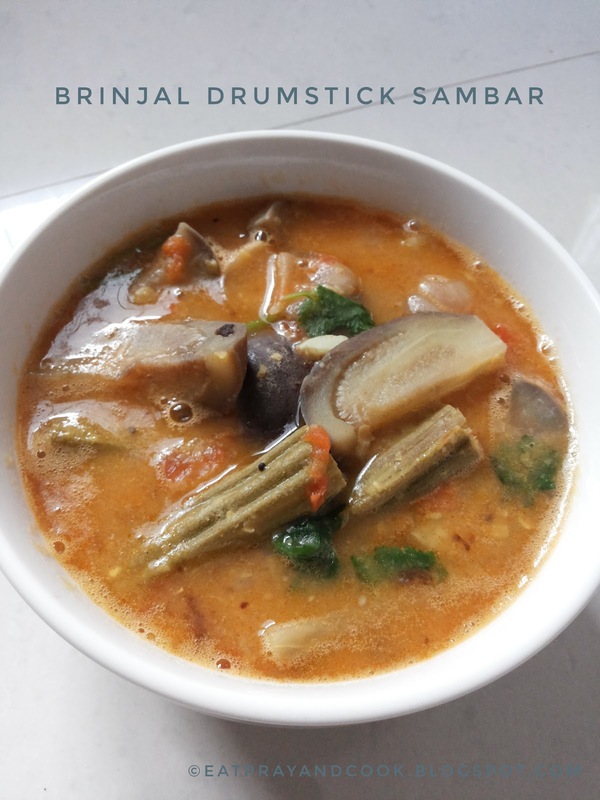 We make many versions of sambar.. the basic and the most famous sambar is brinjal-drumstick sambar. 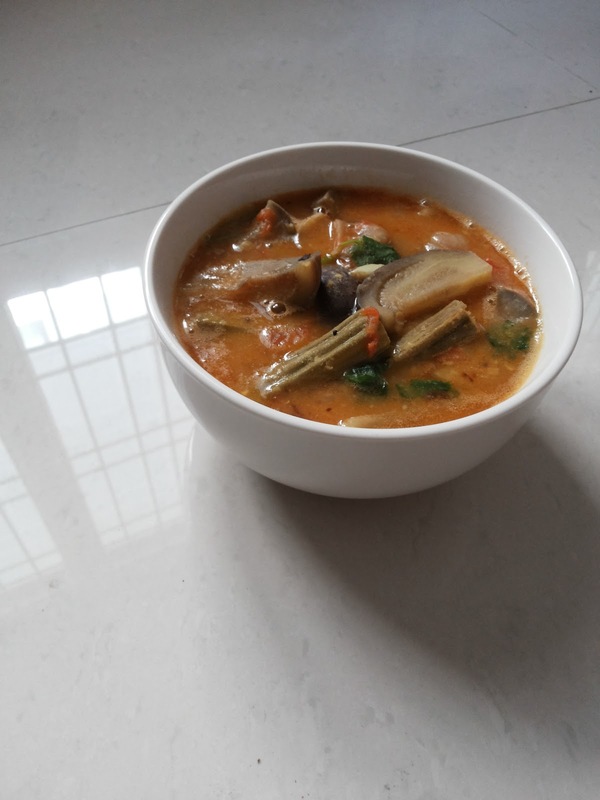 The others are like radish sambar, okra sambar, turnip sambar, plantain stem sambar, beans-carrot sambar, broad beans sambar, mango sambar, drumstick-greens sambar etc. Wash and soak the thoor dhal for 30 minutes to 1 hour. 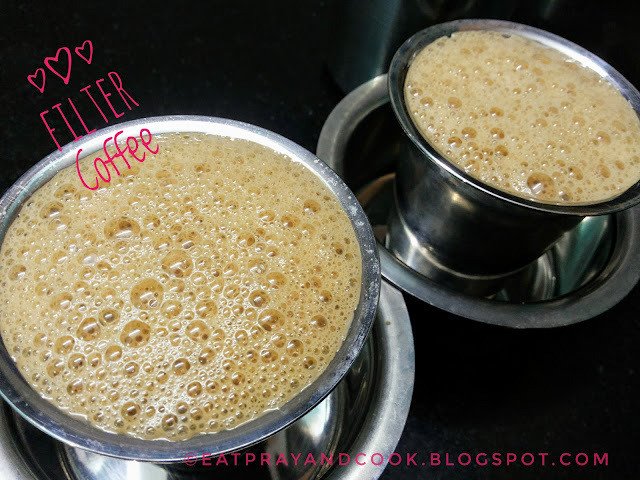 Take this dhal in a pressure cooker and add water just more than double the quantity of dhal. Add little turmeric powder, few drops of castor oil, half a spoon of any cooking oil (I add sesame oil), asafoetida few pinches. Cover the cooker and pressure cook it for 15 minutes in sim after putting the weight on cooker. Let the pressure go down gradually by its own. Open the cooker, mash the dhal and keep ready. 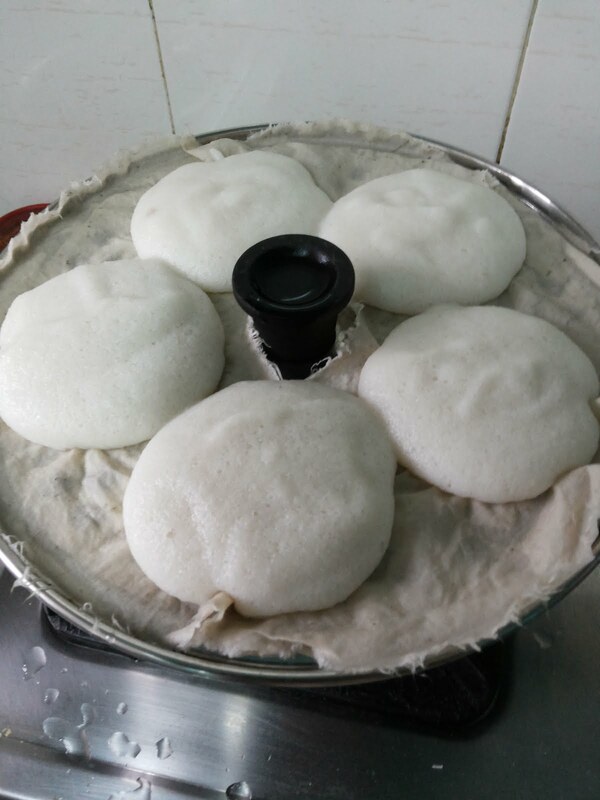 Heat some oil in a vessel and add the tempering vadagam. 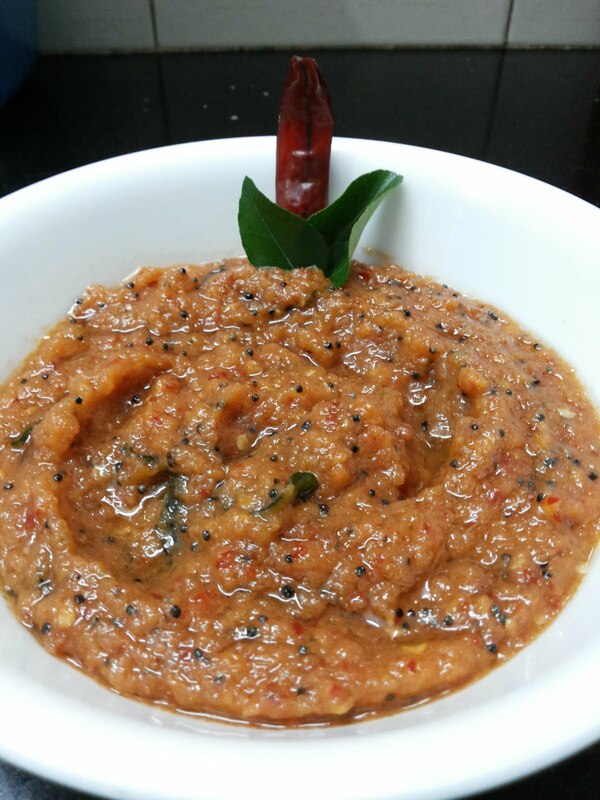 (even the regular mustard seeds, urad dhal and curry leaves is good enough for tempering). Add the cut onions. saute. Followed by cut-tomatoes and curry leaves. Saute. Add salt, turmeric powder, chilli power and coriander powder. Mix well. Wait for 2 minutes. Add water to this till the drumstick sinks. Cover it and let it cook. Once the drumsticks 85% cooked, add the cut brinjal. Give a mix and cover it again. In 10 minutes the brinjal too gets cooked. Now open the container and add the mashed up dhal. Add more water and bring up to your required consistency. Add the tamarind water to this. Mix well. Check for salt. Let it boil for 10 more minutes. 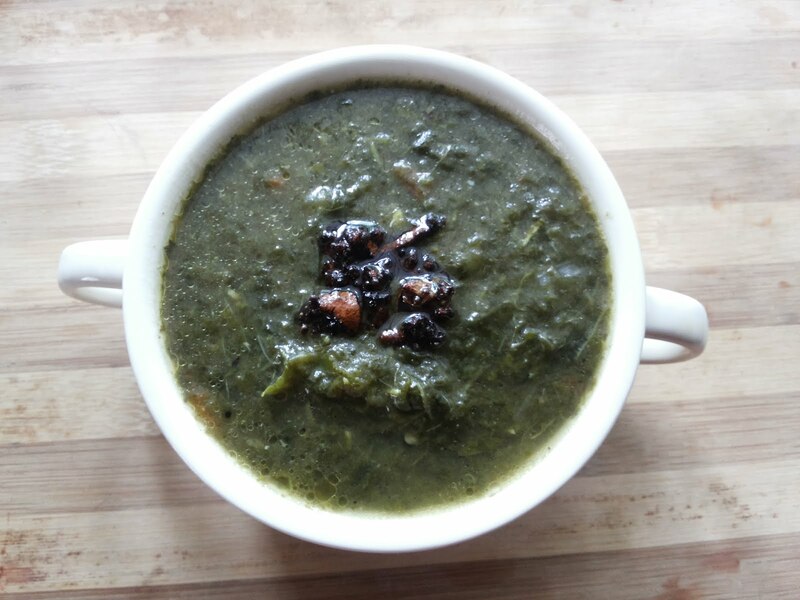 A beautiful aroma of sambar will fill your kitchen. Finally add the cut coriander leaves. turn off the heat. Leave it covered, open the sambar only on your dining table and be ready to be mesmerised. 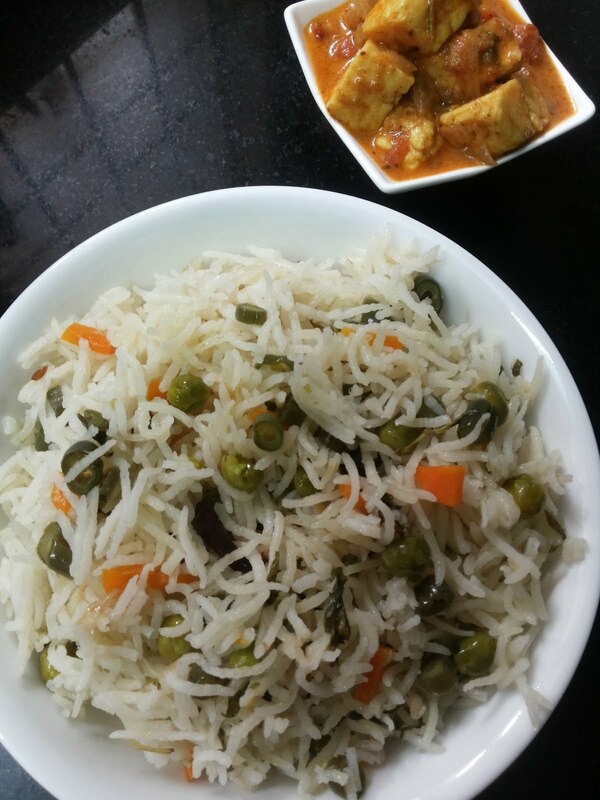 Serve the sambar with hot rice and this makes one simple soul food. We do not prefer ghee with this as the sambar is already mild. 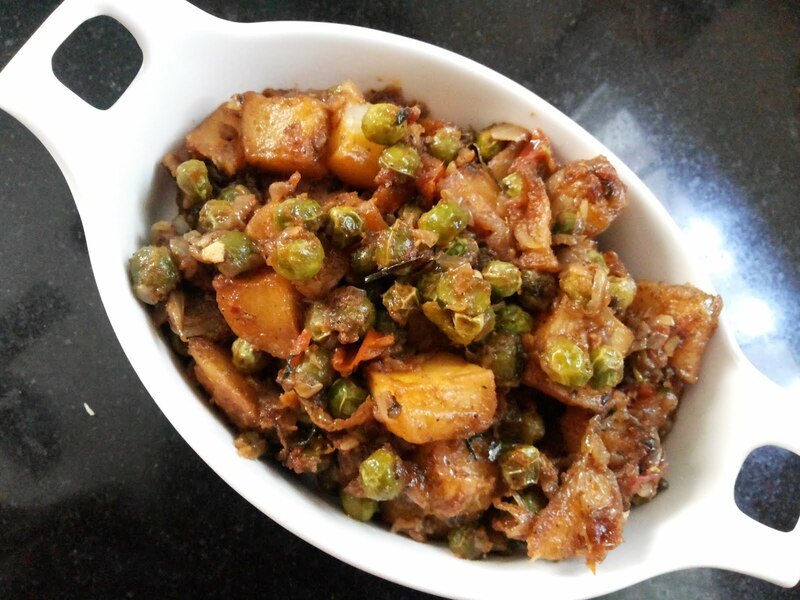 So, it does not call for ghee as it might overpower the flavour of vegetables. 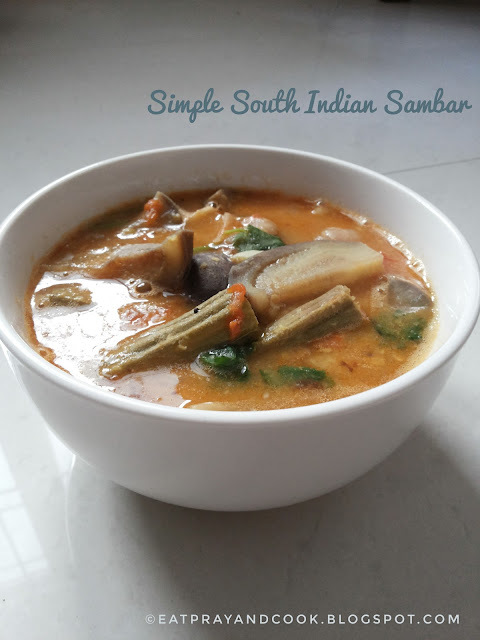 This sambar goes absolutely good with pongal/dosai for the next breakfast.